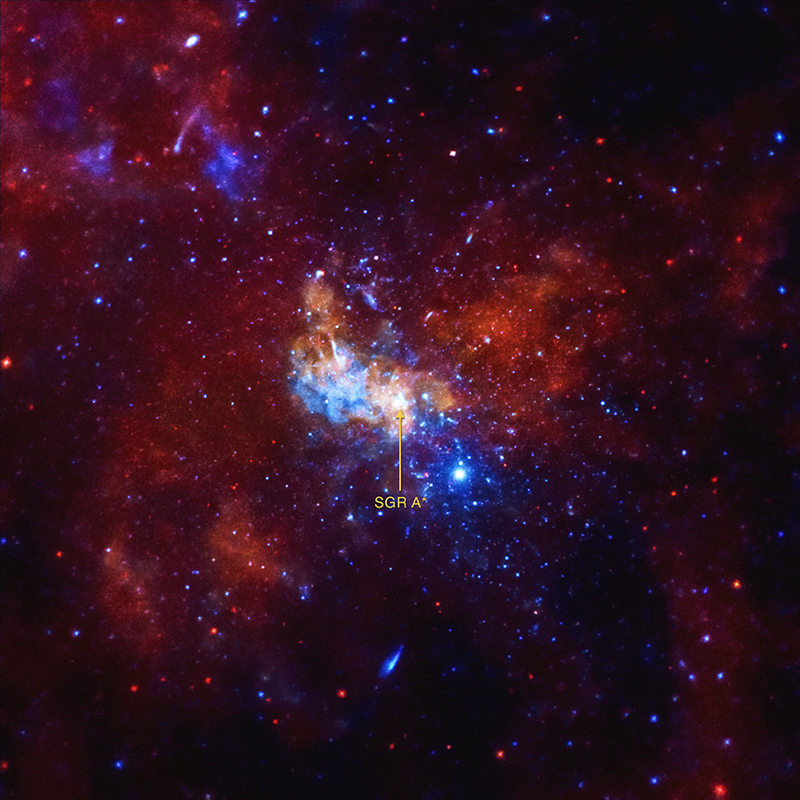 The supermassive black hole at the center of the Milky Way may be producing tiny particles, called neutrinos, that have virtually no mass and carry no electric charge. This Chandra image shows the region around the black hole, known as Sagittarius A*, in low, medium, and high-energy X-rays (red, green, and blue respectively.) Scientists have found a connection to outbursts generated by the black hole and seen by Chandra and other X-ray telescopes with the detection of high-energy neutrinos in an observatory under the South Pole.